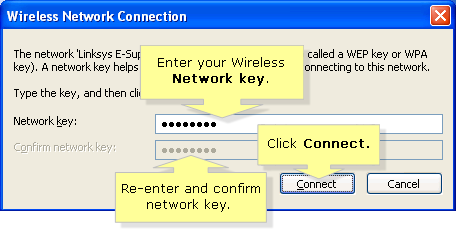 This article will guide you on how to connect your wireless Windows XP computer to your ADSL gateway to be able to go online. NOTE: If you do not know your wireless settings, click here for instructions. 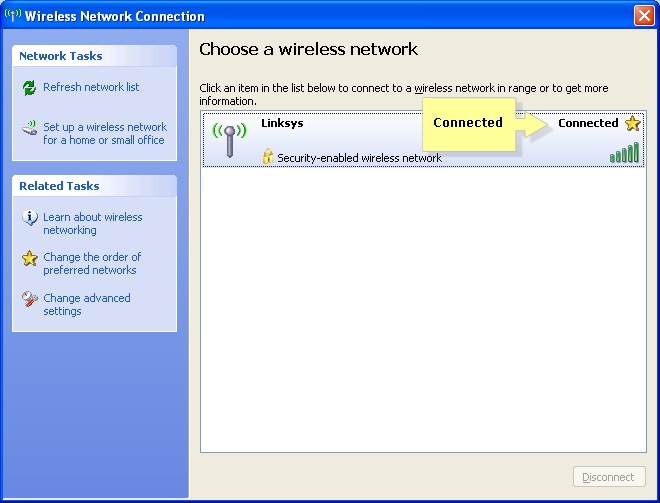 NOTE: To learn how to connect a Mac computer to a Linksys Wireless Network, click here. Select your Wireless Network Name or SSID and click Connect. NOTE: In case you cannot see your network name or SSID on the list, it is possible that the SSID broadcast has been set to disabled. 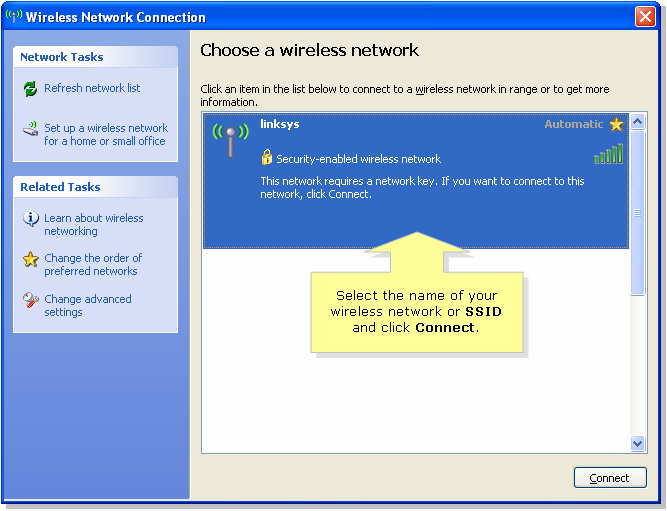 To know how to connect to a wireless network with SSID broadcast disabled, click here. Enter your security key in the Network key and Confirm network key fields. Click Connect. The progress window will show the network connection. 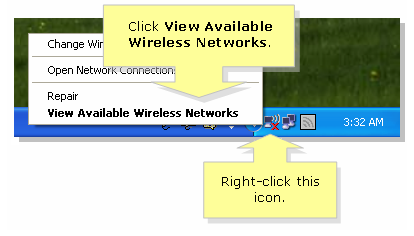 The Wireless Network Connection window will then show if you have successfully connected to the network. NOTE: If you failed to connect to your network, check your WEP or WPA security settings. For instructions, click here. If you forgot your password, click here.